I cannot believe February is already coming to a close. It was a great month of movies and books but now that that is over, it is time to look onward to March! March is filled with many anticipated movies, as well as one book I am looking forward to. If there are any other new releases your anticipating though, comment down below but for now here are mine! Another Sunday has come which means I have to write another reading and writing update. Luckily I actually managed to accomplish some things this week that I am really excited share them with you! So this past week I was in the middle of reading three books, but I am happy to say that I finished one. The book I managed to finish was The Sun is Also a Star by Nicola Yoon, a contemporary following two characters, Daniel and Natasha, who meet one day and the story follows their relationship as it grows over the course of several hours. I had pretty high hopes going into this book because I love contemporaries, and also I have heard really good things about it. I did end up enjoying it, but it wasn’t amazing or anything and I don’t think I would re read it, but it definitely satisfied my contemporary crave for a few days. 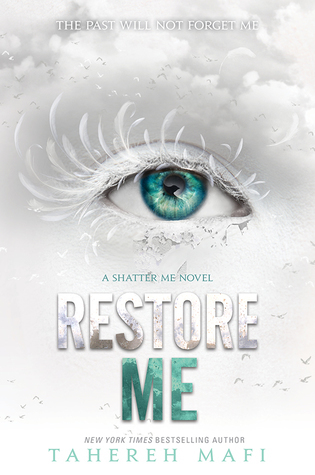 Apart from finishing that book, I am also about two hundred pages into Shatter Me by Tahereh Mafi and one hundred into The Book Thief by Markus Zusak. My goal is to finish Shatter Me by the end of today or tomorrow, but as for The Book Thief I am reading it for my English class so I won’t finish that until the beginning of April. For once I feel like I was more productive writing wise than reading wise, and let me tell you, that doesn’t happen often. I didn’t keep track of how much I wrote exactly, but I do know it was somewhere between three and four thousand words. I don’t remember the last time I wrote that many words, but I know for a fact that I will have more weeks from now on looking like that as I am taking my writing more seriously. I am paying for writing that many words in a short period of time though, because now the muscles in my shoulders and upper back are completely screwed. Even writing this now they are hurting and tightening, which means this may be the last thing I write for today. Hopefully it gets better soon because I have some contest deadlines I really want to make. That is all for my reading and writing update, and I hope you enjoyed! Don’t forget to check out my last blog posts: Tips for New Writers! Only while typing this did I realize that I don’t consider myself a new writer anymore, and while it took four years to realize that, it is an amazing feeling! I love to write, and over these past four or so years, I have learned so much about the process, the craft, and the overall experience of my passion. However, for those of you just starting out, it is daunting! It is something that requires a lot of time and energy, but if you love it, of course it is worth it. Anyways, I am rambling as always, but today I wanted to compile a list of a few tips I have for beginner writers in hopes that it will help you on your journey. Really, these tips could help anyone who is a writer, beginner or not, and if you have any tips of your own please comment them below to help everyone out! Set Long and Short Term Goals – I love to plan, but a lot of the goals I create for myself (usually long term ones) are a bit out of reach for me at this moment in time. It is great to have goals that are way up there, because if you put your mind to it you can achieve anything, but sometimes we get distracted by those big goals and forget about the steps we need to take to actually get there. My advice for writers is to create your long term goals first, some examples of these type of goals are to finish a novel, or write eight short stories… Once you do that, also create some short term goals that will become the stepping stones to achieve your long term goals like if you want to finish a novel one day, set daily or weekly word counts for yourself. You will be so much more effective this way, and have a higher chance of actually checking off your goals. Allow Yourself to Take Breaks – See, I was going to title this one “Take Breaks”, but then I realized that it is easy to take a break, however, not feeling guilty about stepping away from your work is the difficult task. You have to remember that it is healthy, and necessary, to take breaks. It isn’t good to stare at a computer screen for five hours straight! Step back from your work and take a walk or read a book. You will thank yourself later if you do. Connect With Other Writers – Whether this is in person or online, connecting with writers is really a necessity. I follow many writers on Twitter, and it is nice to see that I am not alone when I struggle with my writing. I also like to attend local open mic readings or classes if I can, and that is something I highly encourage you to do as well. As they say, writing is a lonely task so why not change that! Seek Out Good Work Environments – It is really important to have a nice place to get your work done in, because it will make you want to come back there and write! I recommend somewhere quiet and cozy, and that could be anything from your office to a coffee shop. I also recommend having multiple writing locations because it will make you more flexible to write in new places. For example, I usually write in my living room (on my couch or on the floor) or in one of my local coffee shops. I always get a lot of work done in these spots which is why I label them as my “designated writing spots”. Take Advantage of the Internet! – The internet is FILLED with amazing writing resources so use it! There are so many YouTube videos made on the craft of writing or even videos of other people writing. There are also podcasts on creativity and writing, as well as online classes and so much more. There seems to be an endless supply so if you are starting out, educate yourself on story structure, developing flushed out characters, and staying motivated throughout your work. WRITE – The only way you will get better at writing is by writing. If you don’t want to write because your scared or don’t feel like it, just don’t think. Sit down with your computer or notebook and write, start with a sentence and then the rest will come, I promise! These three things have really been helping me gain perspective and insight on my writing and future. The walks help me organize my thoughts, reading helps me refuel my creativity and give me more ideas for my own writing, and listening to a writing podcast or audiobook simply inspires me. I also have to remind myself that I can’t do it all. It is hard being a full-time student, a blogger, a reader, and a writer, trying to fit all that in each day. Slowly I am getting better at it but everyday is still a challenge because if I don’t succeed in it all, I am left with a bitter taste in my mouth that is self doubt. If any of you feel similar remember that you aren’t alone! Creative people everywhere face the same struggle as we do, and guess what, soon you will learn to diminish that little voice in your head that tells you you aren’t good enough, it just takes time. All you can do is keep creating and everything will work out in the way it is supposed to. Thanks for joining me on this jumbled ramble and I hope you enjoyed it! Don’t forget to check out my last blog post where I talk about books that I keep putting off: Intimidating TBR Tag! I think every reader can agree that our TBR’s are sky high and always will be becasuse as they say, there are so many books but so little time. This is a tag consisting of nine different questions revolving around those scary books on your shelf that are just waiting for you to pick them up, and I am really excited to tackle them and share with you guys some of the books on my TBR! Honestly, I despise starting a book and not finishing it but even while saying that, there are a few books that I just haven’t been able to finish. The most recent one that comes to mind is one I actually put down a few days ago and that is Meet Cute by a number of well known authors. I was super excited about this cute contemporary but I just felt that since it was an anthology, the stories were too short for me to connect with the plot and characters and I didn’t feel interested in the stories much at all. I am sure that if I wanted to I could finish it, but at this time I don’t really feel motivated to. 2. What Book Have You Yet to Read Because You Haven’t Had the Time? Okay so I absolutely adored the first book in this series but the sequel is just so massive and intimidating that it would take me forever to get through and right now, I don’t have the time for a dense read! That book is A Court of Mist and Fury by Sarah J Maas, the sequel to A Court of Thorns and Roses. I adored ACOTAR and had heard amazing things of the sequel, however it is a big book, you know? Big books take a long time for me! 3. What Book Have You Yet to Read Because It’s a Sequel? Hands down the answer to this question for me would be Empire of Dust by Eleanor Herman which is the second book in the Blood of Gods and Royals series. This is a book that takes place during the era of Alexander the Great which means it has Greek mythology in it so I absolutely adored it. However, when I read the first book the sequel was not out, and by the time I got the sequel I forgot everything about the world and characters. So when I do feel like reading this book, I have to also re read the first book before picking up the second and at this point in time I am not motivated to pick up a historical fiction book! 4. What Book Have You Yet to Read Because It’s Brand New? 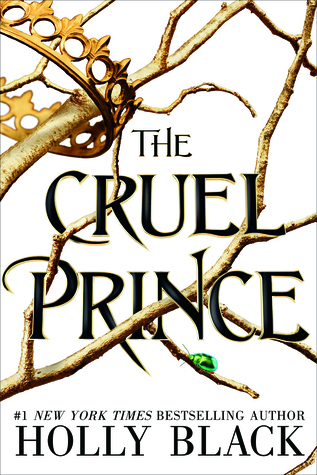 The Cruel Prince by Holly Black is a book that just came out in January and may be the most hyped up book of 2018…and yeah that is super intimidating. I am worried that the hype will get to me and I won’t love it as much as everyone else does, and I don’t want that because it sounds amazing! It has faeries and magic so basically everything I love. Hopefully I will get to it soon, but maybe once the hype dies down a bit. 5. What Book Have You Yet to Read Because You Read a Book By the Same Author and Didn’t Enjoy It? 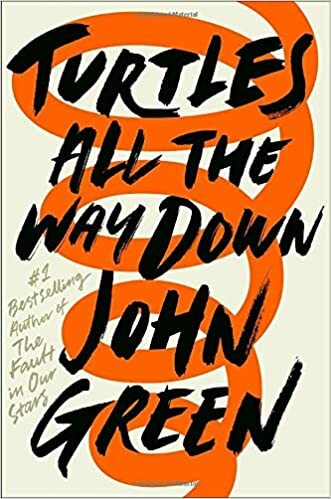 I have read most John Green books however I have not picked up Turtles All the Way Down (which is currently another really hyped book) because I haven’t enjoyed any of his other books. Paper Towns wasn’t that bad in my opinion, but nothing really gripping happens that can make me say I enjoyed it. I have also obviously picked up The Fault in Our Stars and Looking for Alaska but those were definitely not ones I would pick up again. Maybe I would love his new book but I am just a little hesitant since I have liked any of his others! 6. What Book Have You Yet to Read Because You’re Just Not In the Mood? 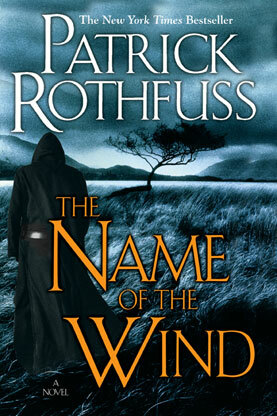 The Name of the Wind by Patrick Rothfuss…another book that I have only heard amazing things about but right now I am not in the mood for high fantasy. It is a genre that is hard for me to get into even though I have only positive experiences within the genre. I do really, really want to get to it at some point, but when I am in the mood for the genre so that I can enjoy it to its full potential. 7. What Book Have You Yet to Read Because It’s Humongous? This is a book that I am really ashamed to say I haven’t gotten to because this is a book by one of my favourite authors…and that is Tales from the Shadowhunter Academy by Cassandra Clare. This is a collection of stories following Simon Lewis that all connect with one another, and while I did read like fifty pages of this book, I put it down for some odd reason and never picked it up again. This is a big book at 672 pages so yeah, I am little intimidated to pick it up again, even if it is in one of my favourite fictional worlds. Hmm…I don’t think I’ve ever bought a book solely based on its cover but then never picked up due to poor reviews because I like to make opinions for myself. However, instead of that I am going to twist the question and just share a book that was a cover buy for me that I have yet to get to. One book that I bought 1) because it is a companion to a series and 2) because it has a beautiful cover, is The Assassin’s Blade by Sarah J Maas. Bought this maybe three or four years ago yet I still haven’t read it so I need to get on it! 9. What Is the Most Intimidating Book on Your TBR? Hands down the most intimidating book on my TBR is All the Light We Cannot See by Anthony Doerr. This is a historical fiction book that takes place during World War II and while I have read already fifty or so pages of it, I have not picked it up in a while. It is so dense that I am little to read it but since I did enjoy what I read I am sure I will get through it sometime this year…hopefully. And that is all for this tag! I tag anyone who wants to do it because it is such a fun tag that really opens your eyes to what books you should add onto your upcoming TBR’s. Anywyas, I hope you enjoyed and don’t forgete to check out my last blog post: Should You Take a Creative Break? Should You Take a Creative Break? Is it okay to take a creative break? Will it affect my creativity? Those are two questions I find myself asking a lot and guess what, it is okay to take a creative break and it won’t affect your creative process or love for creativity. If you love to be creative that won’t change even if you take a few days off or even an entire week off. Sometimes we just need to take a step back, do something else and then come back to it later because it will still be there when you get back, waiting for you. I always struggled with taking breaks from writing and blogging because I was scared that I when I came back I wouldn’t be as in love with it or motivated about it as I am now. Only recently have I realized how wrong I was though! I need a break every so often because I don’t want to burn myself out or put too much stress on my shoulders. If you do that, and put too much pressure on your creative passion, then you might start hating it anyways and it will be because you didn’t take a break. Sometimes I take a break because I want some time to just aimlessly think about a project I am working on, or even time to think about anything but my project! Today’s post is kind of a ramble, but something that all us creative people need to be reminded of. I also wanted to tie this in with some news that my blogging schedule will not be very consistent for the next while. This inconsistency might only last a week or it might last a month, but I just need some time to not feel stressed about putting a blog post out every day and I also need some time to think of some more content! My goal is to post at least two or three blog posts a week still, and I might come to the conclusion by the end of my “break” that two to three posts a week will become a new schedule. I love putting out a lot of blog posts a week, but it is challenging and I don’t want to regurgitate information I already have on my blog. I am currently in the middle of…three books, but honestly, I am almost done two of them. There’s The Lost Hero by Rick Riordan which I am listening to on audiobook and have just over four hours left of, and as I am writing this it is Friday afternoon (I will be offline over the weekend!) so who knows, maybe I will finish it by the time Sunday rolls around. This is a re read so obviously I am enjoying it so I can’t say more than it is as great as I remember! The second book I am working through is Just Listen by Sarah Dessen and I am a good 213 pages into it, meaning I only have about 150 or so to go. Again, another re read which I am really enjoying, however it has been years since I read this book and there is absolutely NO diversity in this book. It is just filled with straight, white people and it just isn’t very realistic. I find it pulling me out of the story often to question that, but still, it is a fun read. Lastly, I have started reading the anthology Meet Cute by a variety of authors. I am only two out of who knows how many stories, and its okay so far. I understand that this is an anthology so the stories can only be so many pages, but the incredibly short length really takes away from the story and I can’t connect to the characters or the stories at all. However, if you are just looking for a light hearted book for Valentines Day or whenever, maybe pick this up! When it comes to writing I have done a bit, but mostly I have been outlining for future stories. I think I wrote around three thousand words at the beginning of the week, but as I said earlier the rest has just been outlining. I have also been doing some research on Aztec mythology and such, thinking about whether I want to incorporate it in a future story idea I have. I’ve been listening to podcasts and googling things, and their mythology is really interesting! Even if I don’t end up weaving any of it into my story, it is still fascinating to learn about. That is all for my reading + writing update and I hope you enjoyed! Don’t forget to check out my last blog post: Colours of the Rainbow Book Tag (Original) for a fun, new book tag! Red is the colour of fire and anger, but also love! And while most books have a love story, this is a prompt for you to choose a book where the love story is the main theme of the book. Anyways, I chose The Selection by Kiera Cass because the story idea revolves around Prince Maxon finding a wife through the Selection. There are heart breaks and tears and kisses and overall it is such a heart warming, fun book! Like all colours, orange can represent many different things but one thing it represents is creativity. I recently read a book where our main character is an aspiring playwright who just moved to London to pursue her dream, and that book is London Belongs to Me by Jacquelyn Middleton. Was this my favourite book? No, but it shows the struggles of being a creative person and what it feels like to follow your dreams, which is something I think all should be reminded of. Yellow! Sun, warmth, two of my favourite things represented by this very loud and bright colour. Some of my favourite books take place over the summer so I was itching to put down this question. The book that I decided to go with though, is Since You’ve Been Gone by Morgan Matson. Ugh, I love this book. Not only does it take place in the summer but it follows our main character, Emily, who sets off on a bucket list her missing, best friend Sloane left for her, hoping it will lead her to her best friend. Spring is quickly coming so the grass is greener and the flowers are blooming which is what inspired this prompt. The book I decided to go with for this prompt is Everything, Everything by Nicola Yoon because of all the pretty flowers on the cover. Everything, Everything is a contemporary that follows a girl named Maddie who is allergic to everything, and until she met Ollie she was okay with that. But once she meets him, everything changes and finds herself desperate to escape her limited life. Blue can symbolize sadness or confidence, but it also symbolizes wisdom. There are many books out there where the main character has a mentor they look up to, and it doesn’t always have to be an older man like Dumbledore. I decided to go with one of my favourite characters and that is Percy Jackson from the Percy Jackson and the Olympians series by Rick Riordan. Percy acts as a mentor to Nico, a younger boy who admired Percy fiercely from the moment they first met because of his bravery and loyalty to those around him. Percy helps out Nico as much as he can, even when Nico doesn’t necessarily want the help which is why I thought he was a perfect choice for this challenge! I twisted the prompt a little bit but that is because the family I am choosing is not technically true royalty, but they are very wealthy and remind me of a royal family because of how they act. Anyways, I decided to go with the Sinclair family from We Were Liars by E. Lockhart. If you’ve read it I am sure you can see where I am coming from and if you haven’t…well read it because it is filled with gripping twists and turns that will leave you wanting more!